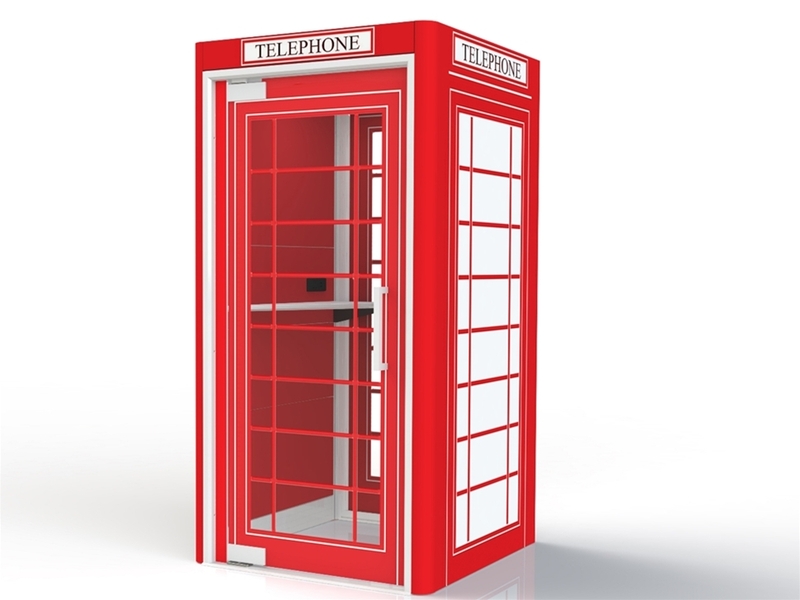 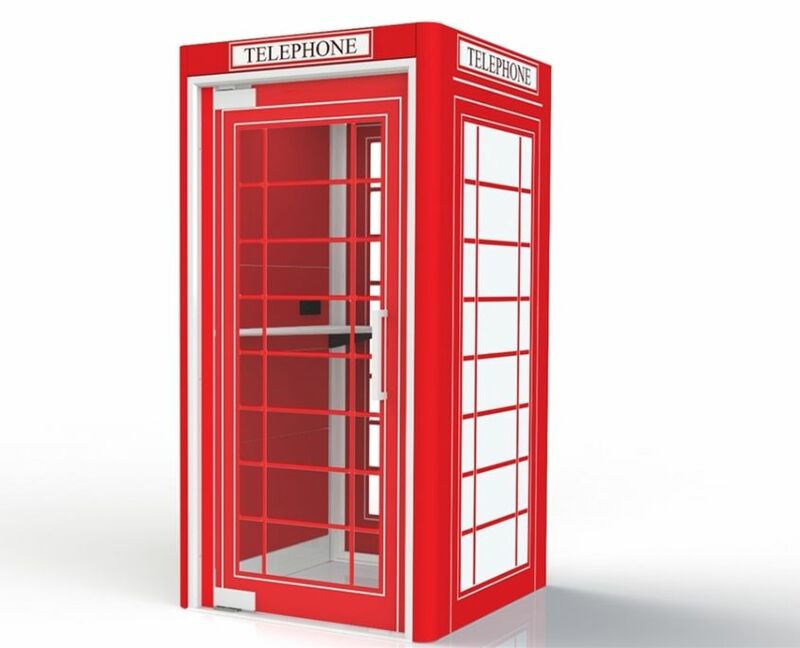 The Phone Booth provides a stylish, versatile and cost-effective solution to your acoustic needs. 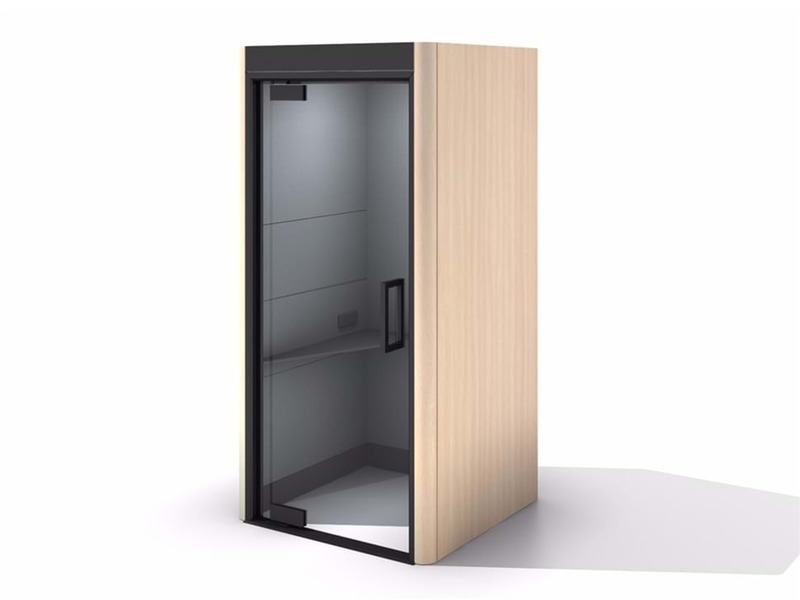 It provides a tranquil environment for phone calls, video conferences and a silence for uninterrupted work. 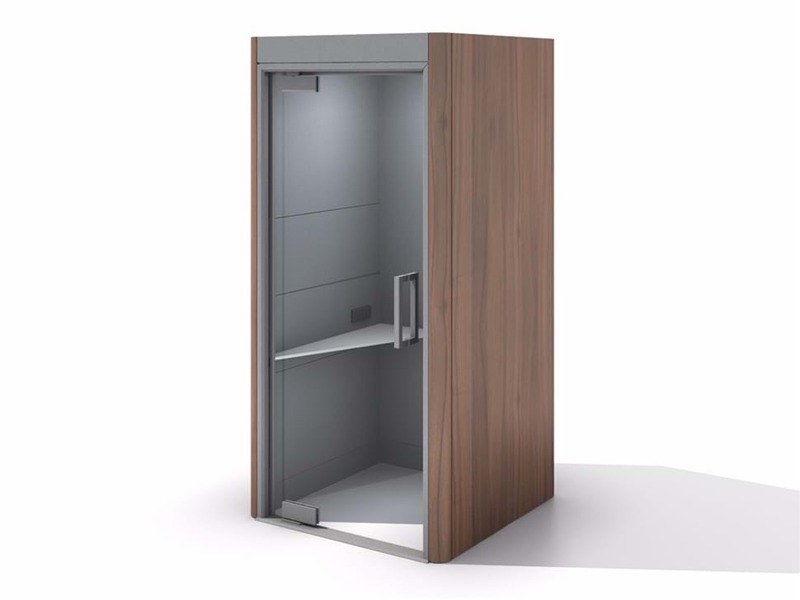 The Phone Booth is designed with your office in mind. Equipped with the best of the best acoustically absorbent materials, ambient lighting and an air circulation fan, the space is functional yet comfortable. 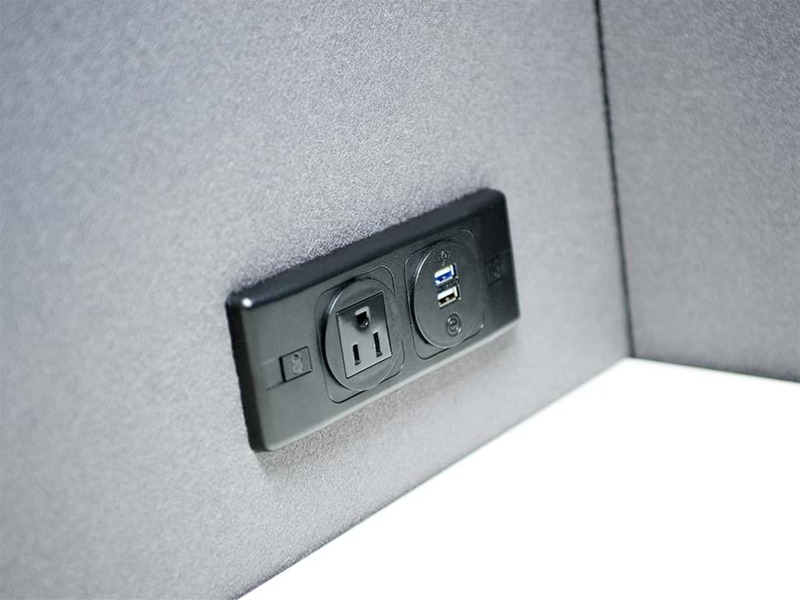 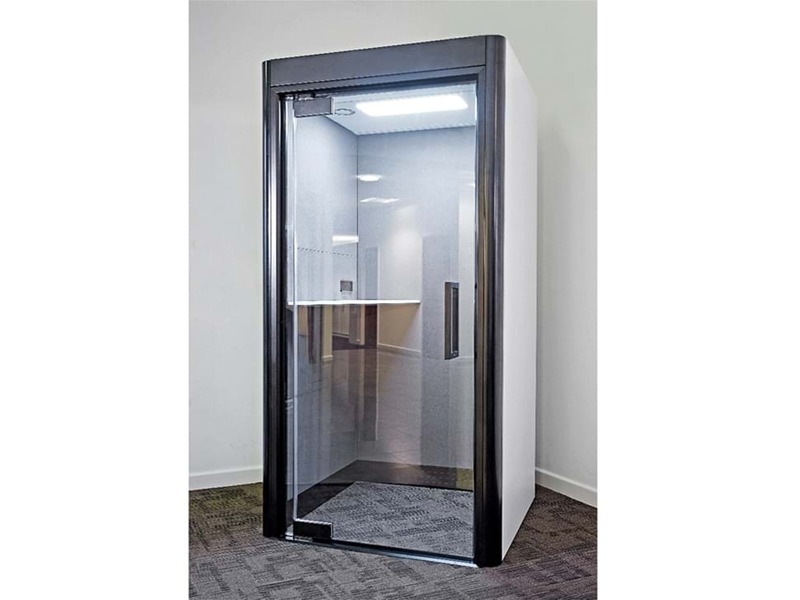 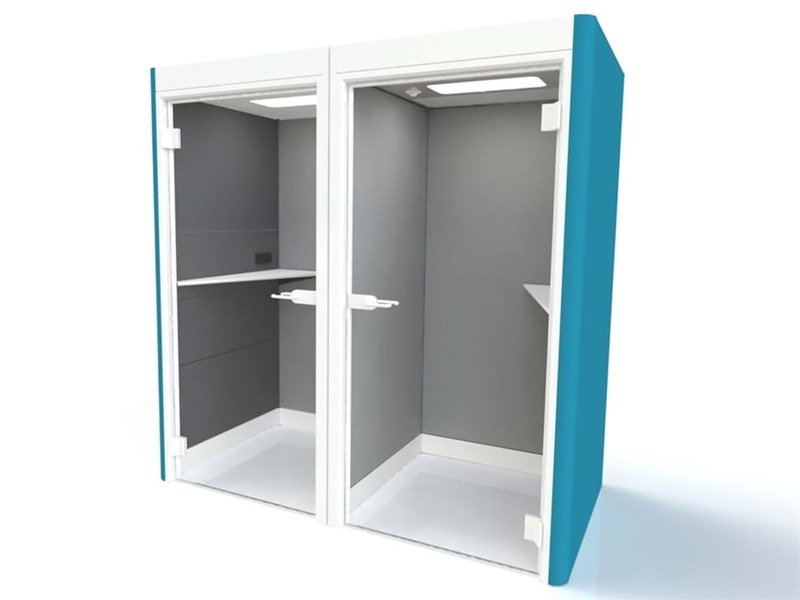 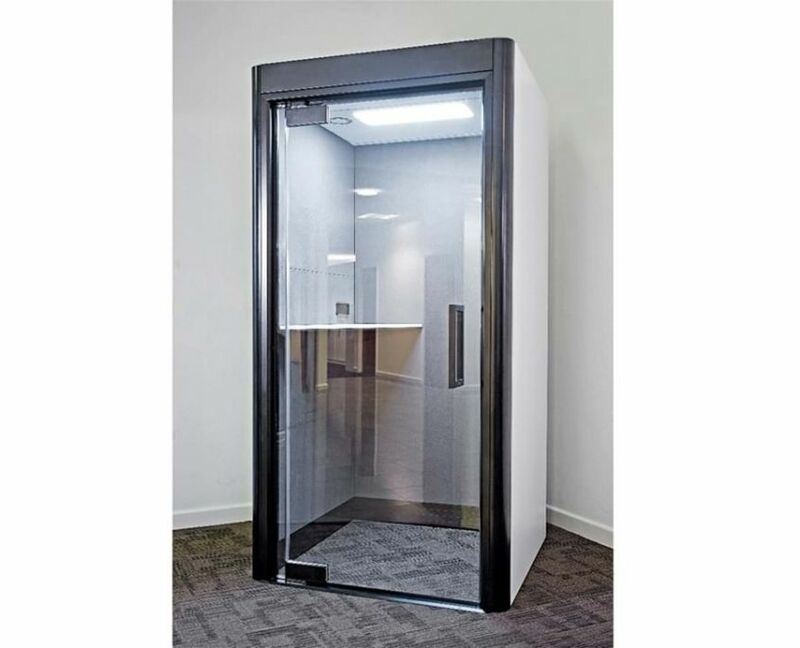 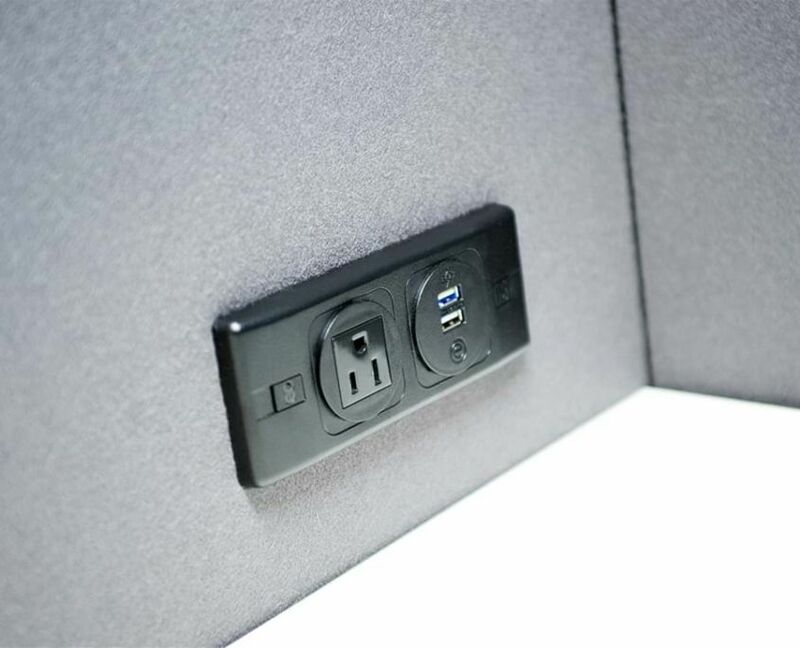 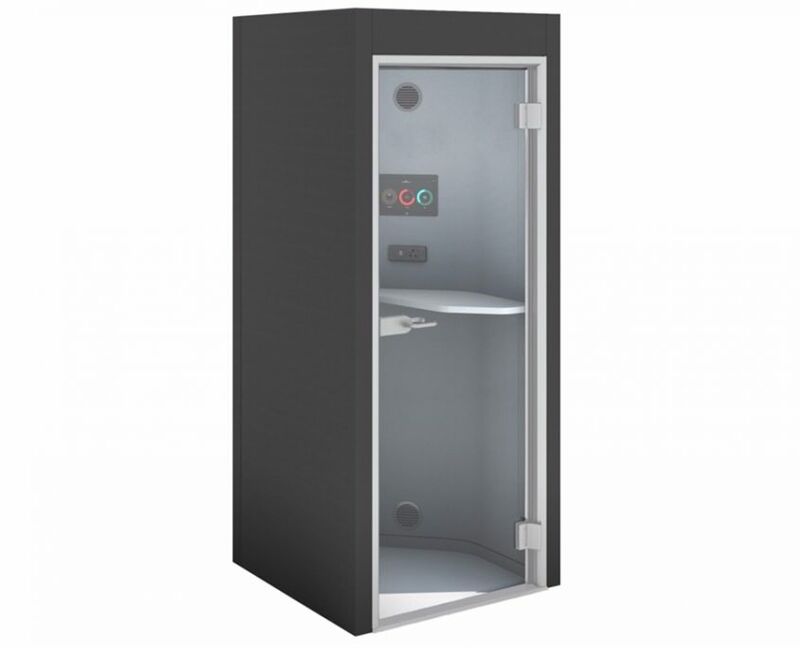 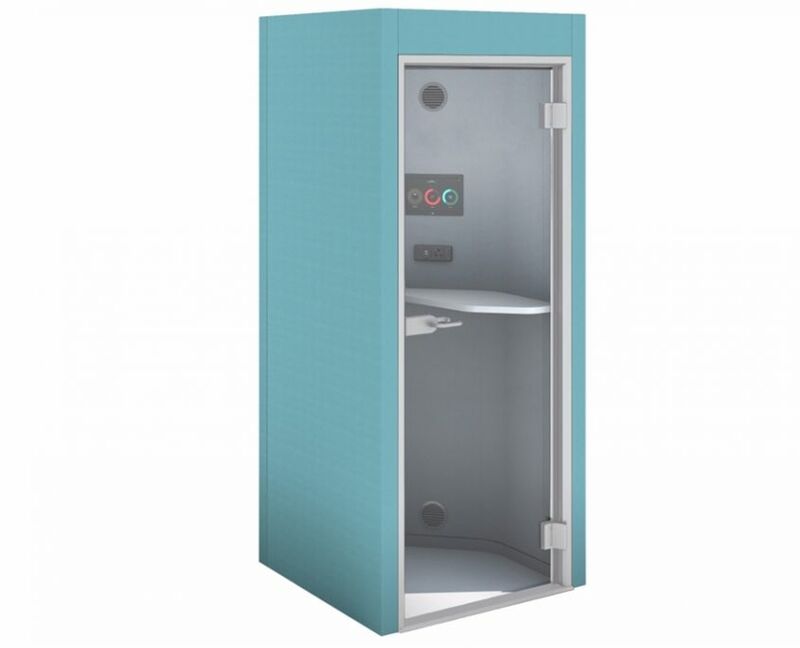 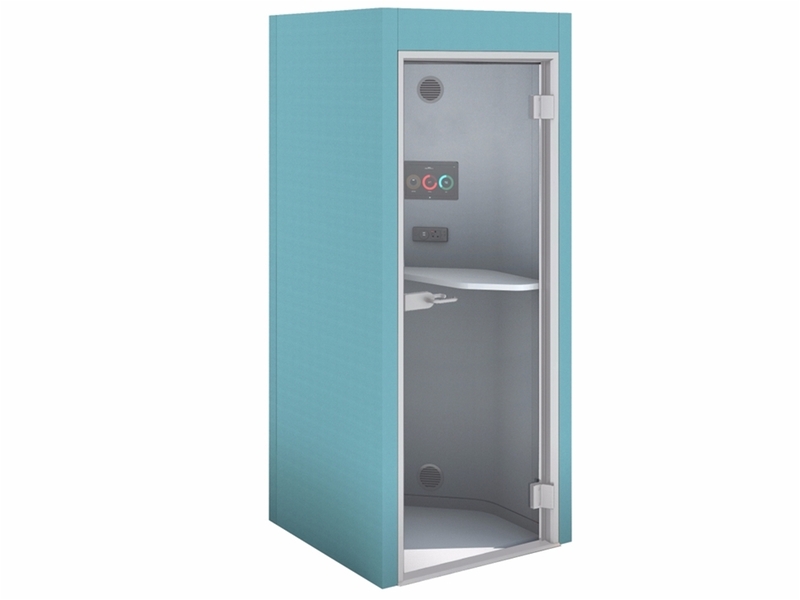 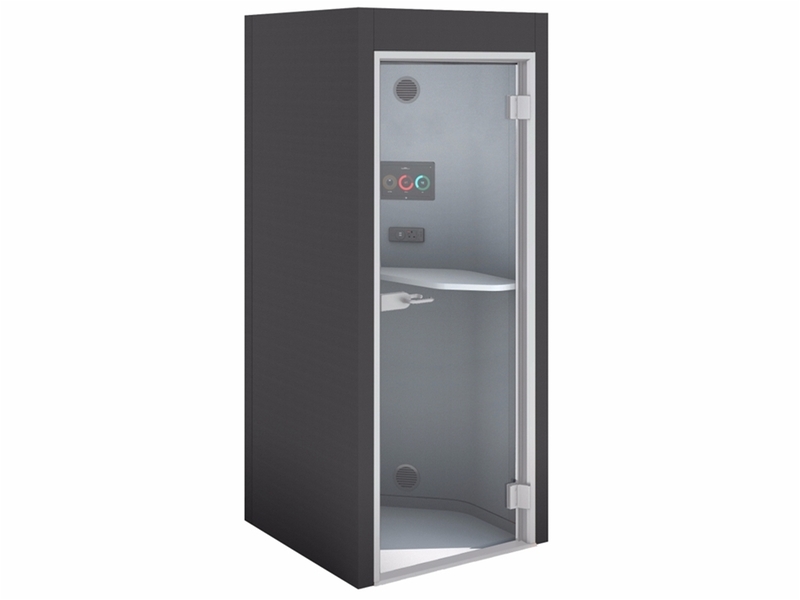 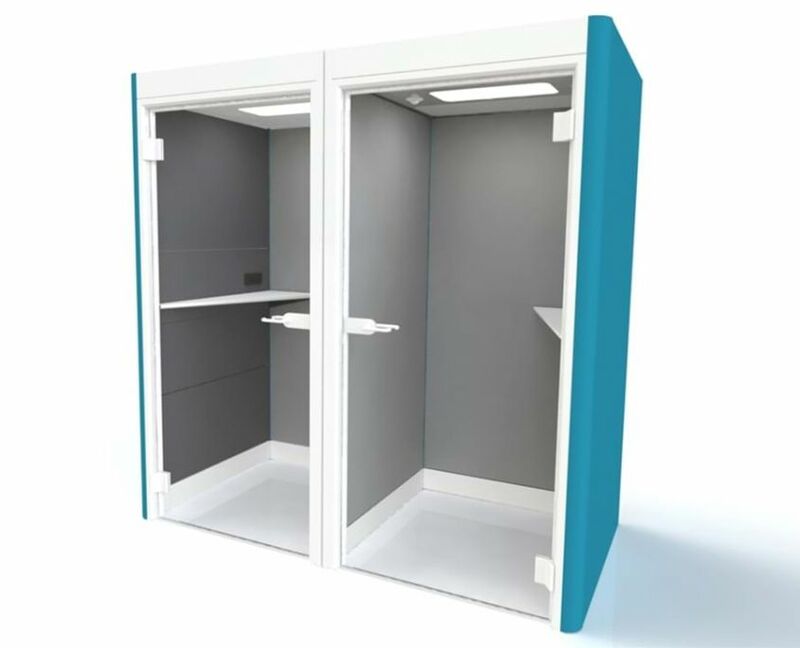 Unlike other systems the Phone Booth has stands upright directly on the floor of your office, making it safe, quick to install and easy to relocate anywhere in the office.